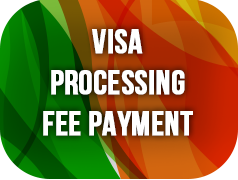 Indian Visa Application Center one of the largest Indian visa processing agency in the world. 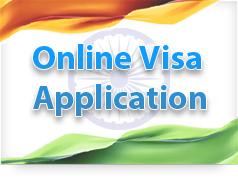 Visa services of High Commission of India, Dhaka, Assistant High Commission of India, Chittagong, Assistant High Commission of India, Rajshahi, Assistant High Commission of India, Sylhet and Assistant High Commission of India, khulna are outsourced to State Bank of India. SBI's Indian Visa Application Center (IVAC) at Gulshan, Dhaka was established in December 2005 followed by IVAC, Chittagong in October 2006, IVAC, Sylhet in July 2009, IVAC, Motijheel in July 2009, IVARC, Khulna in May 2011, IVAC, Rajshahi in 11th December 2012, IVAC opened at Dhanmondi on 1st January 2015 and shifted to IVAC Mirpur 13th November 2016, IVAC Jessore on 20th December and Dhaka IVAC was opened at Jamuna Future Park on 14th July 2018. IVAC at Thakurgoan and Bogura was opened on 6th January 2019. The last IVAC were opened respectivly at Satkhira, Brahmanbaria, Noakhali, Comilla on 13th January . IVAC processes around 5 lacs visa applications of Bangladeshi Passport holders in a year, which, by far, could perhaps be the largest number by any visa processing agency worldwide. State Bank of India (SBI), the majority share holding of which lies with the Government of India is the largest commercial bank in India and one of the top 20 banks in Asia.SBI has 15000 branches in India and 186 branches outside India. It employs over 2 lacs personal for business operations worldwide. SBI is the proud recipient of many recognitions/awards this year, the notable among them being "Bank of the Year 2008-India"Bank of the Year by Banker Magazine, Most Admired Infrastructure Financier " award by KPMG " "Top Public Sector Bank under SME Financing" by Dun and Brad sheet and "Best Executive award" to the Chairman by Asia Money. SBI has improved its ranking in Fortune 500 list, Forbes list of 2000 largest companies in the world, Banker list of 1000 world banks, Brand Finance- Global 500 Financial Brand recognition, to name a few. SBI proposes to open more visa centers in Bangladesh to provide timely and quality services to Bangladeshi nationals. State Bank of India is the only authorize agency for receiving visa application in Bangladesh.